Did you ever notice how hard it is to keep your smoky eye from looking like a bruised eye? Or when you try to create a soft glow, it ends up looking like a greasy shine? As Shawn Towne, global educator for jane iredale, says, “Many of these issues have to do with what tools you’re using. Remember that makeup is a medium for our face, and like paint on a canvas, it must be applied with the right brushes using the right pressure and motion.” Are you guilty of not using that oh-so perfect mix? 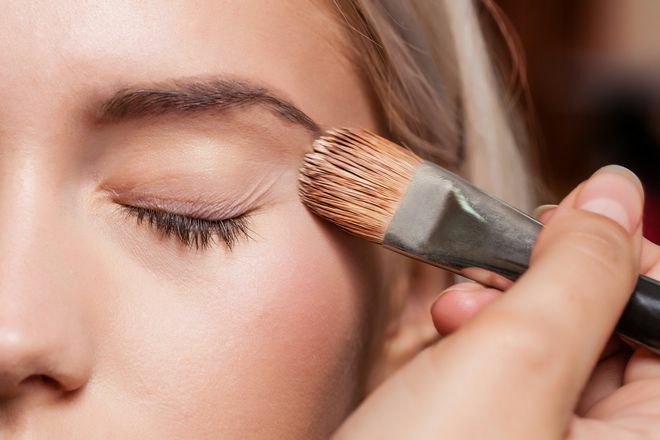 Read on for Towne’s most common makeup application mistakes, and how to fix them. Solution: Lighten up your pressure and use a denser brush with more bristles that will apply more product. Solution: Use a smaller brush and “stipple” the product lightly just into the area you want the coverage. Solution: Use a less-dense brush (like a fan brush) and gently dust luminous products onto the tops of your cheekbones. Solution: Use a larger brush with softer bristles and work in soft circles from the apples blending upward and outward. Solution: Use a softer, more tapered brush and tap off excess pigment before you touch the brush to the eye area. Solution: Use a long, thin brush like a liquid liner brush. Lay the brush at the base of the lashes and pull it across to get a smooth application.